This 12-night luxury self-drive safari offers guests the opportunity to explore the highlights of Namibia and includes the famous Sossusvlei, beautiful Swakopmund, dramatic Damaraland & world renowned safari region - Etosha National Park. 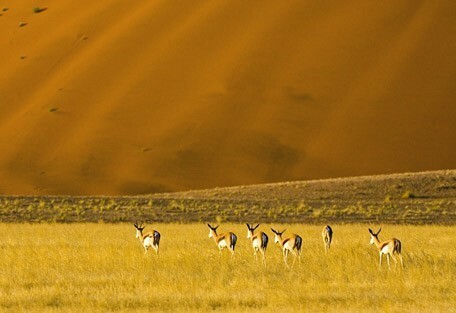 Guests will experience the thrill of driving through Namibia’s most breathtaking areas including barren desert, majestic red sand dunes giving rise to the world'ds most spectacular sunsets, dry riverbeds with wildlife roaming the course of the rivers, the national park which provides a habitat for big game . Enjoy excellent photographic opportunities and the activities on offer in each region. 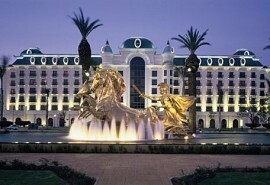 On arrival at Johannesburg airport, guests will take a scheduled flight to Windhoek airport in Namibia. 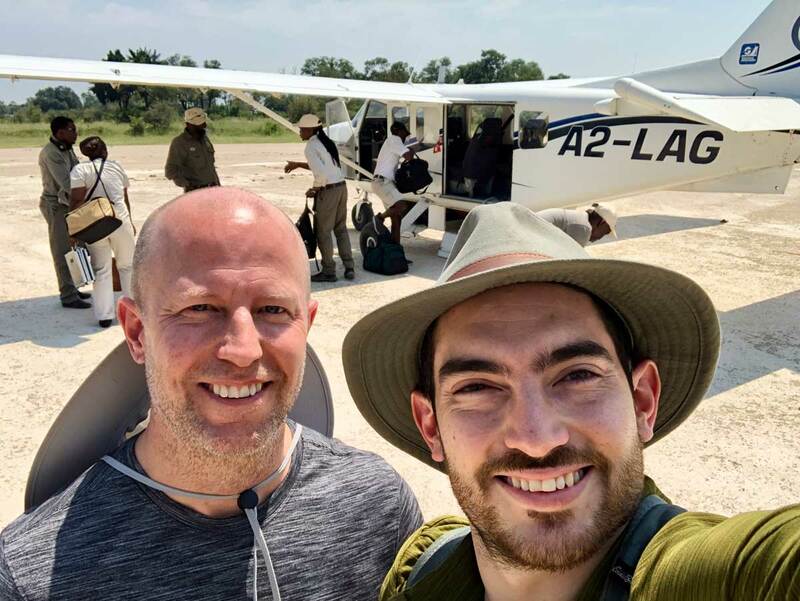 Upon arrival they will pick up their rental car & drive to Olive Grove Guest House in Windhoek where they will overnight before embarking on their trip the following day. The Olive Grove Guest House is a small, upmarket establishment situated close to the city centre of Windhoek in a quiet peaceful area. Each room has a large veranda complete with tables and chairs for al fresco dining. 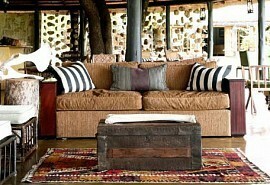 After breakfast, guests will drive to Kulala Wilderness Camp in Sossusvlei where they will spend 3 nights. The landscape is barren and only certain wildlife can adapt to its harsh conditions. Expect to see gemsbok, bat-eared fox and other small mammals. 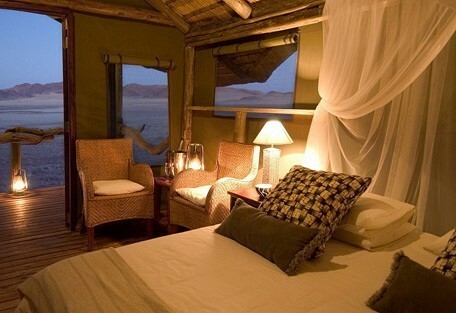 Located in the Namib desert, in the private Kulala Wilderness Reserve, the Kulala Wilderness Camp boasts spectacular views of the brazen orange sand dunes. 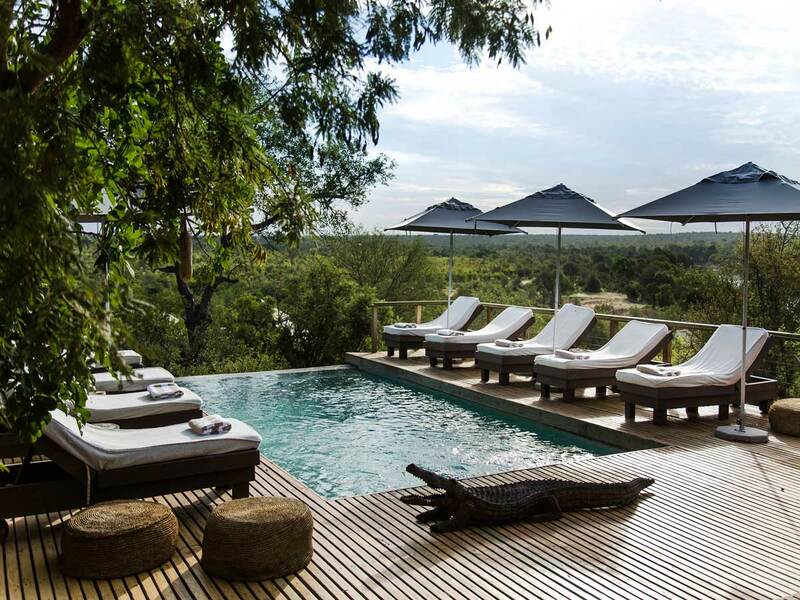 There are 10 stylish chalets complete with private verandahs, solar-heated bathrooms and sundecks. There is a bar and three course meals are served in the main area. After breakfast & morning activities, guests will drive to Swakopmund Guest House in Swakopmund where they will overnight. Swakopmund Guest House is situated in the centre of town and is a mere 5 minutes walk to the beach. Rooms are spacious with crisp, white linen and have a pristine look and feel. 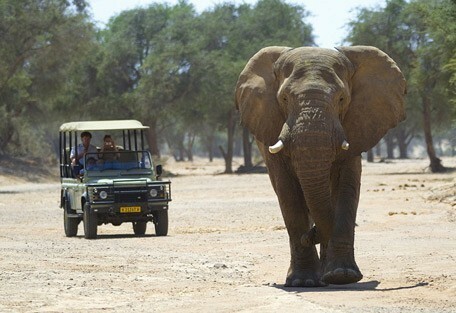 After breakfast, guests will drive to Doro Nawas Camp. 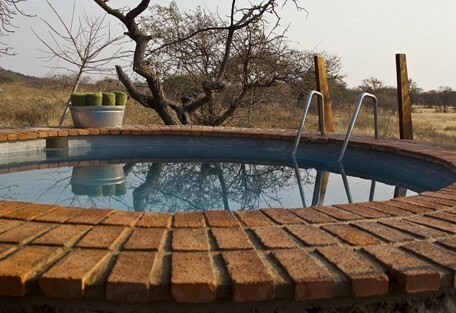 Situated on the edge of the dry Aba-Huab River on the ancient plains of the Damaraland region, guests will be rewarded with beautiful views across barren plains littered with rocky outcrops. A true desert experience. You will spend 3 nights star gazing, discovering the red sandstone cliffs and prehistoric rock art of Twyfelfontein natural heritage site. 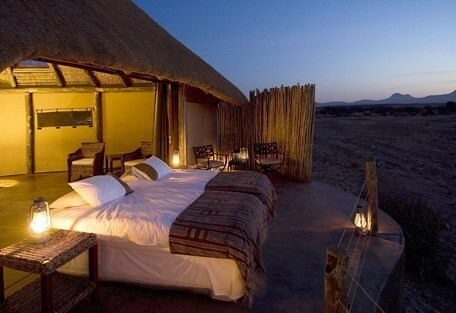 Overlooking the ancient plains of the Damaraland area, the Doro Nawas Camp is the ideal "romantic" camp. 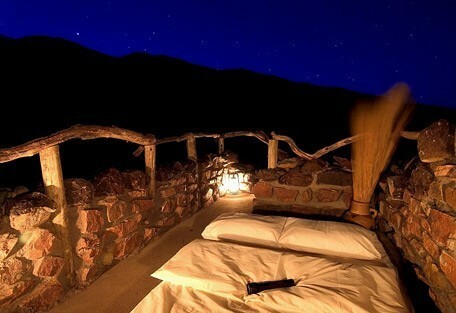 You can actually wheel your bed onto the verandah and watch the stars while surrounded by the dramatic landscape. 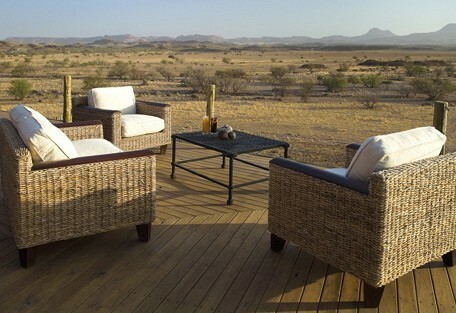 Expect panoramic views of tabletop outcrops, small canyons, dry riverbeds, savannah and grassland vistas. 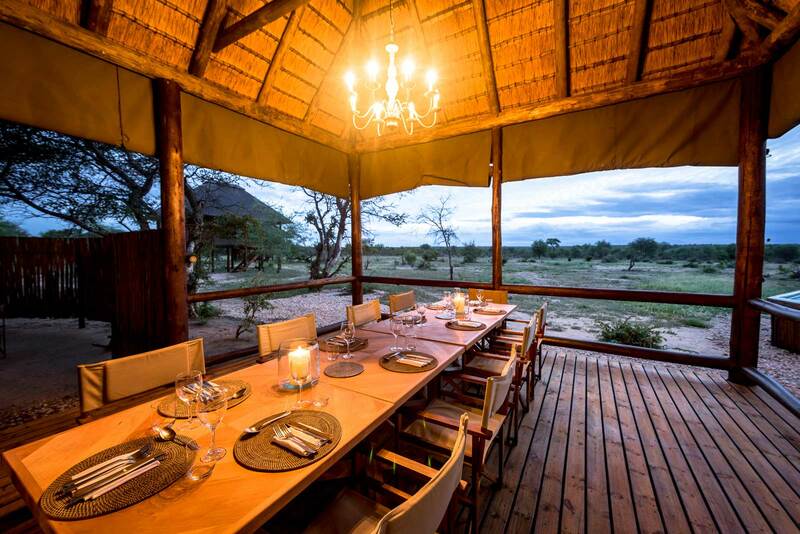 After breakfast & morning activities, guests will drive to Andersson’s Camp situated in the Ongava reserve in the Etosha National Park. 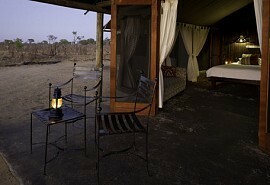 The area contains Africa's largest salt pan and the camp overlooks a watering hole. 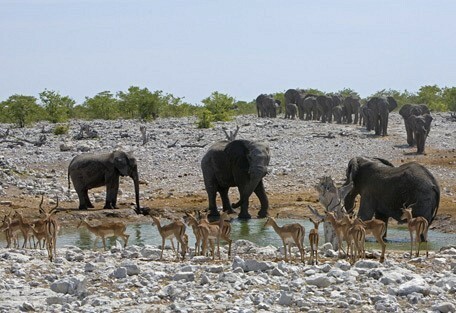 Etosha is a popular safari destination covering 20 000km² and the game-rich savannah and salt pans make the area a premier safari destination in Africa. 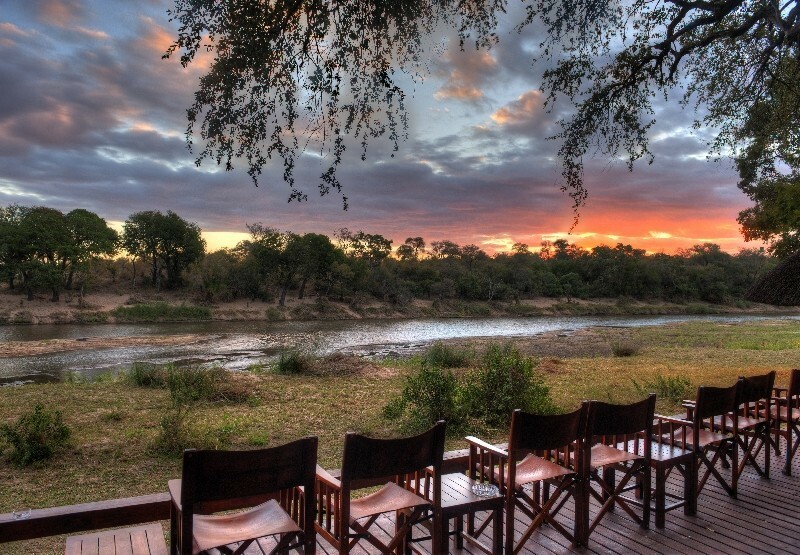 Here you will spend 3 nights enjoying activities such as game viewing. 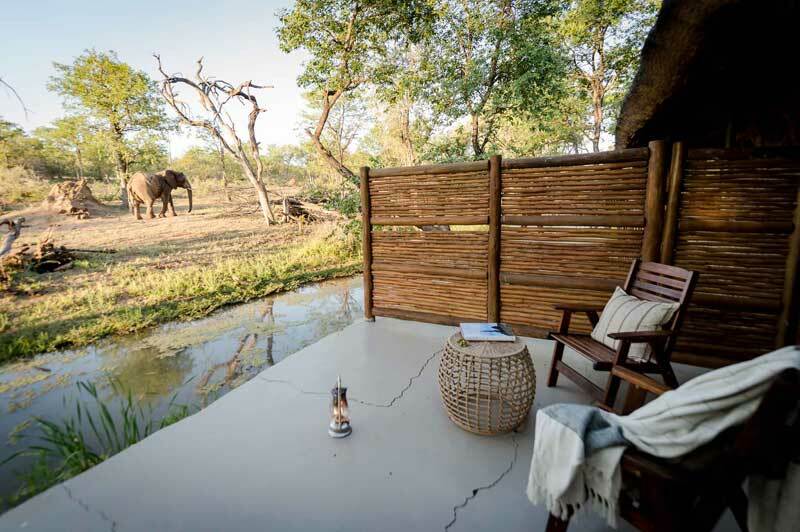 Andersson's Camp is situated in front of a thriving waterhole and each tent has a verandah. 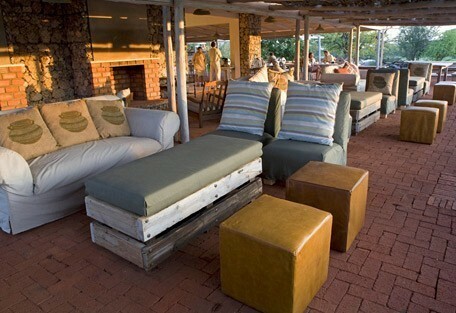 The tents are canvas-styled tents on raised wooden decks with double doors to allow for uninterrupted views. Bathrooms are made from natural stone and equipped with an open-air private shower. After breakfast & morning activities, guests will drive to Olive Grove Guest House in Windhoek where they will overnight. The tour stops here in Windhoek.